Welcome to Our Fun Florida Villa, this is our luxurious executive villa on the privately owned resort of Glenbrook, Orlando, Florida. Our stunningly designed, fully air conditioned, four bedroom villa, comes complete with beautifully designed furniture and sleeps 8 comfortably. The Villa has two master suites (one ensuite), both with super king size beds, we also have a third bedroom, complete with queen bed. Our fourth bedroom is a twin bed. All our bedrooms come complete with TV’s and DVD Players. Our villa has a family area and comes complete with a 55” flatscreen HDTV, great for all the family to enjoy. We have cable TV, with over approx 100+ channels. The villa has a dedicated dining area, and high speed wi-fi. We have our own private south facing screened pool, and have extra privacy by installing Florida glass along the pool screen, and for safety there are removable vertical and horizontal screens for children. There is also a cascading spa, and we have also extended our poolside area to provide a comfortable lounging area if you just want to catch those glorious Florida rays! In our villa we have our own private games room, which comes complete with a pool table, air hockey table and electronic darts board. For those who would like a venture out, Glenbrook also offers all guests a complimentary community recreation area with a designer swimming pool, a Club House with an exercise room for working out, an outside play area for children, a games room, plus tennis and beach volleyball courts to run around and have fun in the sun! The clubhouse also has a media room with a large TV entertainment system, two PC’s and a printer giving free internet access as well as a wireless ‘hot spot’ for those bringing laptops. The clubhouse also has a DVD library and also allows fishing rods to be used to fish on the retention lake. We are local to shops, supermarkets, restaurants and bars, which are in walking distance. Orlando is one of the world’s most exciting and thrilling destinations to visit. Every year it unveils more amazing rides and attractions, golf courses to suit all abilities, and our Villa is ideally situated for Disney, SeaWorld, International Drive, Kissimmee, Wet & Wild, Universal Studios, designer shopping malls, Old Town, Church Street and of course, all the designer outlets at great prices. 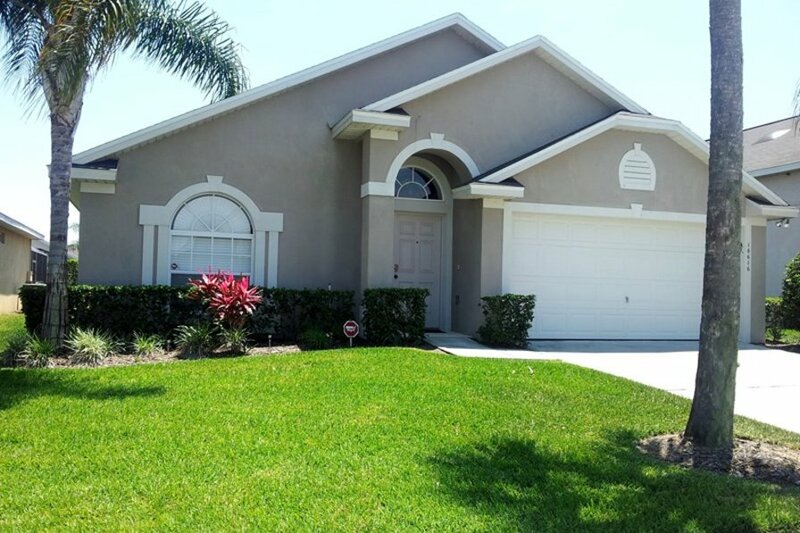 With its near 365 day sunshine record Central Florida in particular, our villa, with spa and pool is perfectly situated and enjoys most major attractions Orlando has to offer close by. We are within walking distance of restaurants, shops and bars.